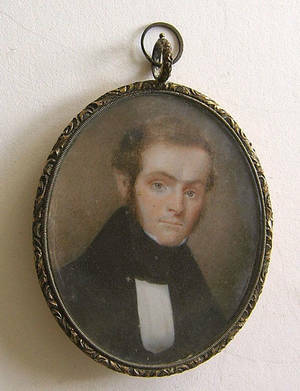 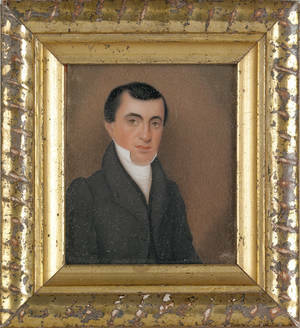 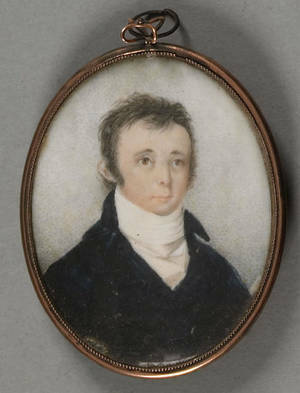 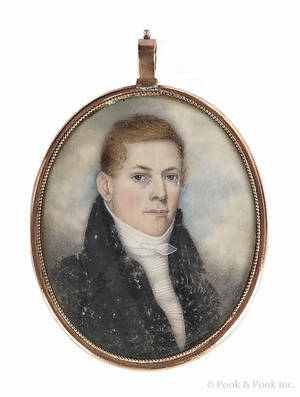 Miniature watercolor on ivory portrait of a gentleman, dated 1841 verso, 2 1/2" x 2 1/4". 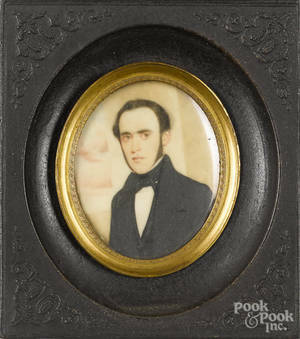 Miniature watercolor on ivory portrait of a gentleman in military dress together with two miniature portraits of Lincoln and Grant. 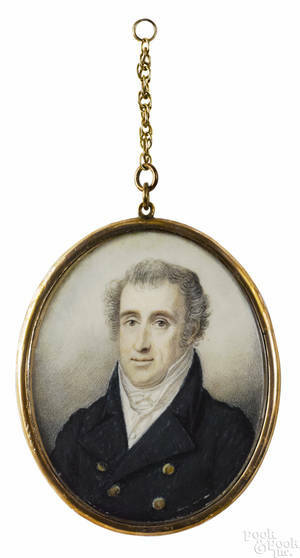 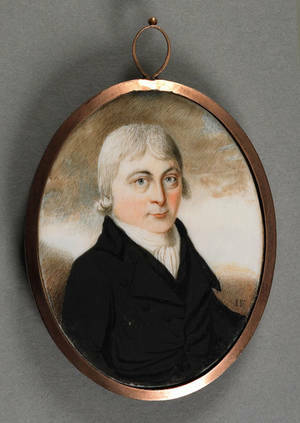 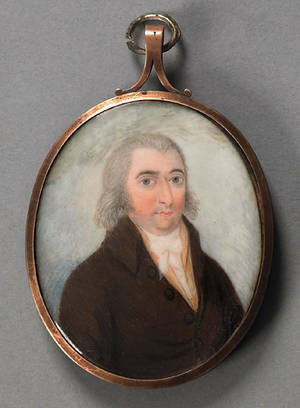 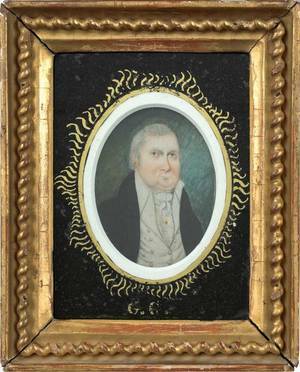 Miniature watercolor on ivory portrait of a gentleman, 19th c.